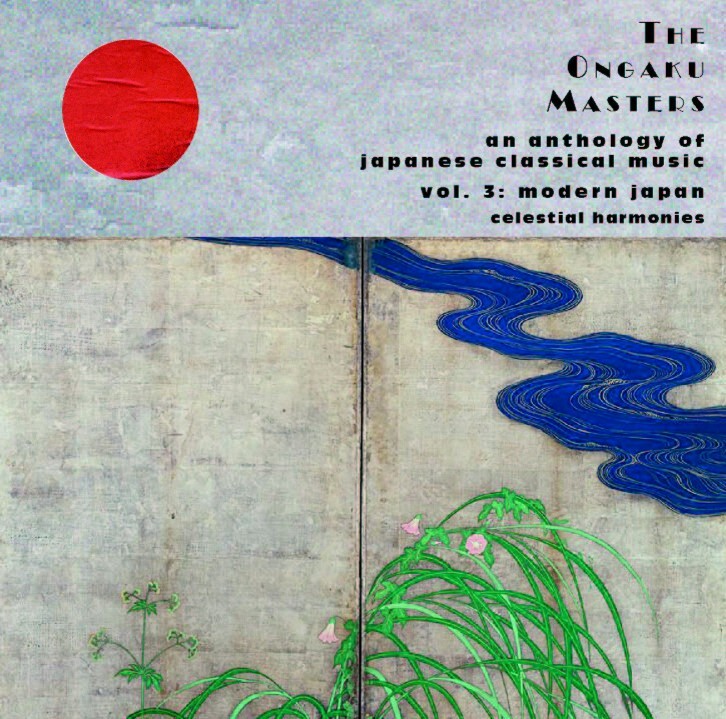 The Ongaku Masters: An Anthology of Japanese Classical Music, a five-CD edition presented in a black linen box, spans 1,000 years of Japanese classical/traditional music, from early Buddhist Shomyo chant to late 20th century Takemitsu. It touches on every relevant stage in the development of Japanese music from the distant origins on the Asian mainland to contemporary expressions. Leading scholars from universities on three continents contributed to extensive and informative booklet notes which also contain images from several leading Japanese museums. Close to 100 musicians are singing and playing on these recordings. The musical material presented in this collection has been drawn from the Celestial Harmonies catalogue and spans two decades of work. When approaching the music of a cultural bloc, there is an understandable tendency to treat the traditions of that bloc as a unified entity: one speaks of Western music, Indian music, Chinese music, African music, and so on. Of necessity, such a monolithic viewpoint is a vast oversimplification, ignoring the differentiations, for example, between Western Baroque, Classical, Romantic, and other musical genres, or between Indian Hindustani and Karnatic musics, or in the present case, between the large variety of differing genres that are together referred to as hogaku, literally music of the homeland (Japan), or Japanese traditional music. There are a number of intersecting ways of catagorising hogaku. One is to view the various styles according to their social role. Another possibilty is to distinguish genres where music is presented in a context with other art formstheatre or dancefrom genres in which instrumental and vocal performance are the sole presentation. This collection concentrates on the various streams of Japanese instrumental and vocal music leaving the theatrical forms of No, Kabuki, Bunraku and others for a later project. Volume 1: Sacred Music presents the main religions in Japan. Volume 2: Secular Music presents works from the classical Sankyoku or Gaikyoku repertoire: pieces for a chamber ensemble consisting of various combinations of koto, shamisen, shakuhachi, percussion and voice. Additionally, the music of the Satsumabiwa represents the tradition of recitation or singing accompanied by one of the Japanese members of the lute family (biwa). Volume 3: Modern Japan concerns itself with the developments of these genres by Japanese composers from the late 19th century into the late 20th century, revealing a spectrum of directions in modern (gendai) hogaku. Volume 4: Cross-overs and Extensions includes samples of Taiko drumming in its modern permutation, as well as works revealing cultural osmosis; music by Japanese composers who have substantially extended their traditions through the engagement with Western compositional techniques, and works by non-Japanese composers and performers who, with knowledge of and training in Japanese traditions, are broadening the horizon symbolising Japans opening to the outside world as well as world cultures familiarising themselves with Japanese attitudes and approaches.